Socialist Fight and the Liaison Committee for the Fourth International affirms its belief that the Fourth International descended into centrism in the 1951-53 period, the programmatic continuity of Trotskyism was shattered at that time and no section, not the International Secretariat (IS, USFI after 1963) led by Michel Pablo, Pierre Frank and Ernest Mandel nor the International Committee (IC) led by James P Cannon, Gerry Healy, Nahuel Moreno and Pierre Lambert represented that continuity then or at any time subsequently. Nor did any group, such as the groups led by Ted Grant or Workers Power Britain (WPB, who are for a Fifth International in any case), regenerate Trotskyism subsequently to the extent of correctly claiming to have re-established it. Big problems existed before the Third World Congress in 1951 but on balance we judge that these did not amount to a definite decent into centrism, although we acknowledge that it is possible to argue that the 1948 Second World Congress itself crossed that line. The IC, itself developing in a rightward direction (e.g. Healy’s work in the Labour Party) was distinguished from the IS by the pace of its development. It recoiled from the most blatant expressions of liquidationism issuing from the IS, but not from the right-centrist documents that underpinned that liquidationism. Therefore the IC did not constitute a “left centrist” alternative to the IS. The RCIT strongly rejects any orientation of building the new International towards the so-called “worldwide Trotskyist movement.” We maintain that the slogan “rebuilding the Fourth International” either expresses an illusionary belief that any of the centrist fragments claiming to be Trotskyist in fact represents, in any way, a continuum of authentic Trotskyism, or that any of these fragments is somehow capable of self-reform. Whilst it is true the IC opposition to Pablo was not an orthodox Trotskyist ‘alternative’ nevertheless the nature of the struggle forced the IC to advocate an opposition to liquidationism as Bill Hunter’s document, Under a Stolen Flag shows (see below), albeit only when an ultra-Pabloite opposition (advocating total capitulation to Stalinism) emerged in both the UK, France and the US (Cochran/Clarke in America Lawrence in Britain, the Lyon opposition in France). However it did contain many elements of a struggle for the Trotskyist Transitional Programme, despite the political degeneration of its central leaders, Cannon, Healy, Moreno and Lambert. It did assert the need for independent revolutionary parties based on that programme to lead successful socialist revolutions to open up the path to world revolution embarked on by Lenin, Trotsky and the Bolsheviks in 1917. And whilst it is true that neither side “represents, in any way, a continuum of authentic Trotskyism” nonetheless some within the IC as a whole did represent a left centrist opposition to Pablo which informed and inspired future generations of Trotskyists in their struggles against centrist leaderships who were of the same opportunist/sectarian variety. We see here the WPB/RCIT rejection of the transitional method, no orientation whatsoever to splitting the ranks from the corrupt leadership by placing demands and working patiently with oppositionists. 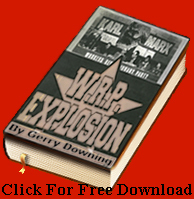 Gerry Downing experienced this attitude in 1986 where WPB gave no serious assistance to the struggles of the Internationalist Faction as recorded in his WRP Explosion i waged against the Slaughter/Pilling/Pirani leadership of the WRP/Workers Press apart from ultimatums to the group which meant split immediately and join them. When Lenin and the Bolsheviks’ arrived at this conclusion in 1914 they called for the building of the Third International. So did Trotsky after the failure of the Stalinist centrist Comintern in 1933. And so do we, since history has shown so many times that the so-called “worldwide Trotskyist movement” has degenerated into ossified centrism and cannot be reformed. There seems no reason, then, to dispute Livio Maitan’s claim that, when Pablo’s famous essay ‘Where Are We Going?’ was circulated for discussion within the International early in 1951, Healy expressed no disagreement with it whatsoever. Nor did Healy challenge the adoption, at the FI’s Third World Congress in August-September 1951, of a full-blown ‘Pabloite’ programme. This put forward the perspective that with the outbreak of another world war, which was held to be both imminent and inevitable, the counter-revolutionary character of Stalinist parties outside the USSR could be transformed. Following the supposed examples of the Yugoslav and Chinese CPs, some of these parties could be expected to break with Stalinist politics and ‘project a revolutionary orientation’. All the British delegates to the Congress – Healy, John Lawrence and Bill Hunter – voted for these perspectives. And in the Club itself only Betty Hamilton and Charles Van Gelderen opposed the Third Congress decisions. Healy eagerly seized on the opportunist implications of this (Pablo’s – SF) perspective, in order to transform British Trotskyism into a left component of Bevanism. Thus Bevan’s speech to the 1952 Labour Party conference was hailed by Socialist Outlook with the headline ‘Bevan Gives the Lead that Workers Want’. Bevan’s election to the NEC on a record vote, and the replacement of right wingers Dalton and Morrison by the Bevanites Harold Wilson and Richard Crossman, the front page editorial stated, was ‘the clearest indication’ that the rank and file wanted socialism. A month later, next to a message of support from Michael Foot on behalf of Tribune, the paper carried the headline ‘Aneurin Bevan Demands a Real Socialist Policy’. Yet, by Socialist Outlook’s own admission, Bevan had done no more than defend political positions which were commonplace in the Labour Party before 1945, and he had made it plain that he had no desire to wage a serious struggle against the right wing. The Parti Communiste Internationaliste, the French section led by Bleibtreu and Lambert, did take a stand against Pablo at the Third World Congress. For, while they were enthusiastic supporters of the IS’s pro-Stalinist line on Yugoslavia and China, they baulked at its application to France, where the PCI had its base in the anti-communist Force Ouvrière trade union confederation. Faced with the PCI leadership’s stubborn resistance to his policy of ‘entrism sui generis’ in the French Communist Party and the Stalinist-dominated CGT unions, in January 1952 Pablo abused his authority as FI secretary to suspend the majority of the PCI central committee. Needless to say, the French received no support from Gerry Healy. On the contrary, when Pablo’s bureaucratic action was narrowly endorsed – by five votes to four – by the IS, Healy sided with Pablo. And at the IEC Twelfth Plenum in November, Healy voted for the expulsion of the PCI majority from the Fourth International. According to one account, Healy even turned up in person at Pablo’s side to inform the Bleibtreu-Lambert faction that they had been expelled and replaced as the official section by the ‘Pabloite’ minority led by Pierre Frank and Michele Mestre. Healy played a no less rotten role in relation to the FI’s Vietnamese section, within which a minority faction supported the Bleibtreu-Lambert position. Before chairing a meeting of Vietnamese comrades who were about to return from France under orders to enter the Viet Minh, Healy approached his fellow IEC representative Peng Shuzi who was to address the meeting, and persuaded him to remain silent about the Mao regime’s persecution of Trotskyists in China. Peng was left in no doubt that this was ‘an instruction or suggestion from Pablo’. In order to defuse opposition to the entrism sui generis tactic, Healy and Pablo thus conspired to conceal from the Vietnamese Trotskyists the extent of the repression they could expect at the hands of Stalinism. Nor do we have any substantial disagreement with Bob Pitt and the RCIT on Healy’s unprincipled history in the Labour party (although Comrade Pitt now completely disagrees with his former revolutionary self, he informs in his introduction). If there are lessons to be learned from Healy and Grant’s entry work in the Labour party they are that it is necessary to have an open outside Trotskyist party and publication to guide this work and that genuine left moving elements in that milieu will never be won by capitulation to reformist currents. Deep entryism without outside assistance is absolutely politically fatal as a long term project, a few years at most is all that is appropriate. Working with these currents, fighting their reformism and encouraging their moves in the direction of revolutionary Trotskyism is the essence of the tactic. Dissolving the former Revolutionary Communist Party into formations called ‘the Club’ or ‘the Group’ as Healy did produced nothing for eleven years for Trotskyism. In fact it was only when the Socialist Labour League was formed that the possibility of winning the leadership of the Young Socialist in 1963 emerged. But by then Healy was acting in such a provocative way that he presented the Labour party bureaucrats with every opportunity to expel him and his members. As with Grant and Militant a decade and a half later it was possible to weather the storm and maintain a presence in the Labour party to renew the struggle at the next opportunity. But Peter Taaffe repeated Healy’s error and pulled out of the Labour party entirely after the expulsion of leading members. It is true that Healy never went to the extent of declaring the Labour party no longer a bourgeois workers’ party as Taaffe did after 1989 but the approach and method was very similar apart from that. However Militant, despite all its capitulation to reformism whilst inside the Labour party, did at least produce its paper which openly advocated various aspects of the Trotskyist programme. Healy’s Socialist Outlook viii was not really an identifiable Trotskyist paper at all. The ISG’s paper, ix of the same name was modelled on the earlier Healy paper, and was similarly liquidationist. Despite his future somersaults on the Labour Party question, the main threads of this analysis – impending economic collapse, the erosion of parliamentary democracy, a drive towards right-wing dictatorship, and imminent revolutionary struggles – were to remain constant themes in Healy’s political pronouncements throughout his subsequent career. This made any serious long term work in Labour and the trade unions very difficult as the 1974 Thornett split showed. This catastrophism was in reality a modern, leftist version both of the German SPD programme before 1914, separating the maximum and minimum programme with no transitional demands whatsoever, apart from stock references every now and again which no one took seriously, and the German communist KPD ultra-leftism of the early 1930s, which later come to the fore. Ken Livingstone was quite happy to hear Healy speak of the imminent collapse of capitalism as long as it did not oblige him to oppose Thatcher in the GLC over the rate capping struggle in 1984-5. The manner of the expulsion of Gerry Healy forced serious discussions on revolutionary politics in the WRP from late 1985 after the departure of Mike Banda to early 1987 and the adaption to Nahuel Moreno’s MAS. The two central points that began it were the capitulation to Gaddafi, Arafat, Saddam Hussein and the Arab bourgeoisie and the capitulation to Labour left reformist politicians like Ken Livingstone, Ted Knight, Bill Sirs of the Iron and Steel Trades Confederation (a right wing trade union leader to which the WRP shamefully capitulated) and Arthur Scargill of the National Union of Mineworkers, etc. Also prominent were repudiation of the Security and the Fourth International case against Joseph Hansen and George Novak and later practically the entire leadership of the US SWP who were all accused of being KGB/CIA agents. As a result of Healy’s efforts, Bevanism was able to acquire what it had previously lacked – a base in the trade union movement. After the collapse of the upsurge on the docks, the Healyites continued to work closely with Tribune, for example in organising meetings for the Bevanite MPs Crossman and Mallalieu in Yorkshire. In exchange for such services, members of the Group were occasionally allowed a letter or short article calling for a programme of nationalisation without compensation under workers’ control or for a sliding scale of hours in response to automation. But if Healy had been minded to draw up a political balance sheet in terms of what he got for what he gave, the answer would have been – very little. For Healy, of course, no such question arose. His purpose was not to build a revolutionary tendency in the Labour Party, but to pursue Pablo’s strategic line of ‘assisting the evolution’ of Bevanism into a supposedly centrist movement. After the 1985 split the question of Messali Hadj and the MNA was one of the central issues bothering Mike Banda then in the throes of a breakdown following Healy’s expulsion. He gave Gerry Downing a pamphlet, The Algerian Revolution by Messali Hadj (1956) with and introduction by Peter James entirely uncritical of Hadj and with no class analysis whatsoever of the nature of this ‘revolution’; “the Algerian revolution is now developing at a rapid pace… For the Algerian revolution is no more than an extension of the Asian revolution into the continent of North Africa” he tells us in fine Pabloite style in paragraph two of his introduction. Banda revealed that he had escaped death in the mid 1950s by barely an hour in Paris when he arrived to discuss with Hadj’s followers only to find them assassinated by the FLN. This was during the so-called Café Wars between the MNA and the FLN, which the latter won in France and Algeria. Banda’s complaint was that the IC had capitulated to the wrong petty-bourgeois nationalists. We therefore had no substantial disagreement with the RCIT section on Algeria and the IC’s history of unprincipled relationship with semi-colonial bourgeois nationalism. At the 1949 Labour Party conference, Healy made a stirring speech in defence of ‘a democratic principle for which men and women have fought and died in this Movement: the right to speak, to differ, and to have their opinions democratically discussed without fear of expulsion and fear of threats’. 43 But these words would have appeared somewhat ironic to the victims of the purge which Healy now proceeded to carry out within the Club. In February 1950 Haston resigned, unable to tolerate the political atmosphere in Healy’s organisation (‘there was a terrible atmosphere’, Grant recalled, ‘of a low theoretical level, of a really ignorant character’), and a few months later announced his complete break with Trotskyism. Healy then proceeded to expel all those who refused to break personal contact with Haston. ‘Healy was just getting into his stride’, Bornstein and Richardson recount. ‘Up and down the country he went, dissolving, amalgamating and splitting branches apart at will.’ Grant, who had been transferred from his own branch into one led by Healy loyalist Bill Hunter, was ordered to get a job in a factory, and when he refused this instruction to become an industrial militant – a proposal which suggests that Healy was not without a certain warped sense of humour – he too was thrown out. In reaction to the pro-Stalinist line of Healy and the IS, the state capitalist position of Tony Cliff had won a growing number of adherents in the Club; but Healy, incapable of answering this faction theoretically, resorted to organisational suppression as a substitute for political argument, and the Cliffites were also expelled. We who came into the Trotskyist movement from the Communist Party, hard on the heels of the experience of Hungary and our struggle with the Stalinist bureaucracy in Britain, were assured that in the Trotskyist movement we would find a genuine communist movement, where democracy flourished, where dissenters were encouraged to express their dissent, and where relationships between comrades were in all respects better, more brother and more human than in the party we had come from. Instead we have found at the top of the Trotskyist movement, despite the sacrifices and hard work of the rank and file, a repetition of Communist Party methods of work, methods of leadership, and methods of dealing with persons who are not prepared to kotow to the superior wisdom of the “strong man”. That the ruling clique is an instrument of the general secretary is shown by the way it was elected. How many comrades know that the panel presented by the panel commission to the inaugural conference was first presented in toto by the general secretary to a meeting of the executive committee, as if that was the most natural thing in the world, then presented by the executive committee to the outgoing national committee, then presented by the national committee to the panel commission. This state of affairs had not improved over the years. The Battle for Trotskyism was the name the expelled opposition of 1974 based in the Oxford Cowley car plant gave to its collection of documents on that split, and it certainly was that, even if it did not succeed in its initial revolutionary impulse. It was clearly a left split of serious revolutionaries who did wage a fight for Trotskyism for the next eight years, up to their political collapse to right centrism in 1982 over the Malvinas war. The charges of disloyalty to the party are spurious, who is obliged to be loyal to a party which treats its members in the manner described by Peter Fryer above and who intimidates and physicality assaults both its own members and political opponents as a matter of course. How is one to conduct a legitimate political struggle in that atmosphere? Notorious incidents over the years include Mike Banda pulling a knife on John Lawrence during that split, The beating of Ernie Tate outside an SLL meeting (after the 1985 split Chris Bailey admitted to being part of the team who did this on Healy’s instructions), the visiting of Ted Knight’s house late at night with Cliff Slaughter forced to come along to teach him to be a thug also, the beating of Mark Jenkins, Tony Richardson and Healy’s appalling beating of Stuart Carter during a Central Committee meeting because he opposed the line of condemning the IRA over the Brighton bombing of the Tory Conference (no one came to his assistance, did some hold him down for Healy?) and Mike Banda’s assault on Corinna Lotz during the 1985 split. All the conditions for a major crisis in Healy’s organisation were present (because of the falsified prediction of military dictatorship did not happen – SF) , and it was not long in breaking. The catalyst was provided by a group of former SLL members linked with the French OCI – Robin Blick, Mark Jenkins and John and Mary Archer – who in January 1974 began publishing a regular Bulletin aimed at WRP members. Although the Bulletin group held an unduly positive opinion of Healy’s earlier deep entry in the Labour Party, they were very effective at exposing the anti-Marxist absurdities of his current political line. In particular, the group emphasised the need for transitional demands instead of Healy’s ultimatist calls for the immediate nationalisation of major industries and the banks. Healy’s reaction was to ban WRP members from reading the Bulletin, and to change the party’s constitution, removing the right of expelled members to appeal to conference. Even loyal party members baulked at this. Alan Thornett, the leading figure in the WRP’s factory branch at British Leyland Cowley, voted against Healy’s constitutional changes on the central committee. A furious Healy demanded, and got, from Thornett a written retraction of this vote. When the issue was put to the party’s special conference in July 1974 another Cowley WRPer, Tony Richardson, made the mistake of asking a question of clarification. He was hauled off to Healy’s office and forced to admit, on pain of expulsion, that he was wrong even to have asked the question. Hamstrung in their industrial work by Healy’s sectarian ultra-leftism, and faced with a party regime which prevented any serious reassessment of the WRP’s policies, Thornett and his supporters opened up discussions with the Bulletin Group, and began with the latter’s assistance to organise a faction against Healy. In September, Thornett presented a document in his own name urging a return to the Transitional Programme, which was in fact written in large part by Robin Blick. It demonstrated irrefutably that the WRP’s politics were utterly divorced from Trotskyism. Gerry Downing heard Healy in early 1980 boast that he had met Bert Ramelson (the CPGB’s Industrial Organiser) in Bagdad airport and he said to him, “aha Ramelson, the boot is on the other foot now” – in other words Healy’s ally Saddam Hussein was executing ‘Stalinists’ just as Stalin had executed Trotskyists. And Healy excused the execution of leftist, Trotskyist and trade union leaders and members by Khomeini in Iran on the same agent-baiting basis; they were all CIA agents who deserved what they got, the same method which Healy applied against Joseph Hansen and the US SWP. This made absolute sure that Healy and his International Committee could never recruit any serious revolutionary fighters or intellectuals in the Middle East or Iran to his version of Trotskyism. One of the big questions after the 1985 split was when Cliff Slaughter would produce an evaluation of this campaign which he had been so central to founding and developing. He never did. This agent bating campaign proved nothing apart from hiding the increasing inability of Healy to wage serious political struggle against his opponents in the world Trotskyist movement because he fundamentally agreed with many of their most important political positions. Point 7. Only the emergence of ultra-Pabloite internal tendencies, which carried liquidationism to its extreme, drove the British section and the SWP/US to launch, in 1953, the struggle against Pablo. Conducted on the basis of the SWP’s federalist conceptions, and so on the basis of relations among the separate national leaderships, this struggle did not come near to achieving all the results which were possible. Point 8. In practice, the International Committee, based on organizational federalism, did not in any way represent a Bolshevik response to Pabloism. It proved incapable of drawing the slightest lesson from the crisis of the International. The successive policies of its different organizations (the entrism of Moreno’s organization in the Peronist movement; the policy of the French PCI in relation to Algerian nationalism and, later, in relation to social democracy; the more and more marked adaptation of the SWP to petty-bourgeois intellectual circles in the US; the zigzags of the British section in its work within the British Labour Party; etc.) clearly demonstrated that the International Committee itself — even if obviously in a less serious form than the Pabloite International Secretariat — suffered from opportunist deviations of a centrist type, which its federalist character could only exacerbate. The great majority of the forces which have degenerated from Trotskyism maintain politics which are generally revisionist and centrist — or, in a few instances, ultraleft-revisionist — without breaking openly and completely with revolutionary Marxism. The Pabloites have distorted the Trotskyist program and adapted it to various nonrevolutionary petty-bourgeois and bureaucratic currents. They have subordinated or denied the role of Trotskyist parties as the necessary expression of the political independence of the working class, in favour of adaptation to these nonproletarian and nonrevolutionary forces. The organizations of the International Committee of 1963-1971 tended to combine national-Trotskyist adaptationism with extreme forms of national-Trotskyist sectarianism (Lambert most clearly characterized by capitulation to social democracy, Healy by collapse into crazy sectarianism). In continuing to proclaim their adherence, even in a distorted fashion, to the revolutionary program of Trotskyism, these organizations continue to attract militants breaking towards revolutionary politics from social democracy, Stalinism, and conventional forms of centrism. However saying that it did not even represent a left centrist opposition rejects the fight itself and the effects that fight had on the ranks of these groups and on later generations of those who were fighting to be genuine Trotskyists. In equating the cynicism of the leaders with the idealism and self-sacrifice of the ranks it is classically sectarian and rejects the progressive effect on the body politics of the subjective revolutionary left of even a left centrist Trotsky group. In fact this analysis seems to reject the notion that there is such a category as left centrist Trotskyist groups at all. And we assert that the degeneration of the Fourth International cannot be compared to the degeneration of the Second (Social Democratic) International or the Third (Stalinist) International. By definition centrist groups are those who mix elements of the revolutionary programme with reformism. In particular within these centrist groups again and again the Trotskyist Transitional Programme and method are the points of reference for oppositional currents and individual oppositionists. The leadership is accused of betraying the Programme, of being centrist, of capitulation to reformism and/or Stalinism. Invariably the degeneration of the group is initially set at the point and on the single issue where the oppositional group or individual has come into conflict with the leadership or shortly before that, when the crisis of the group is seen as emerging. Once historical reasons begin to be sought for this degeneration outside their own tradition, identifying their own current as part of the problem of post WWII Trotskyism, then real advance is possible. The vast majority of self-proclaimed Trotskyist groups have not become outright counter-revolutionary and have not crossed class lines leading to the slaughter of millions like the Second International did after 4 August 1914 and the Stalinists Third International did by allowing Hitler to come to power in 1933 to decapitate the best organised working class on the planet and set in train the political events that led to WWII. And the German tragedy happened without a struggle by the Communist Party of Germany (KPD) and with no honest assessment of why and how it happened. Of course some groups who were Trotskyist have crossed class lines, like the LSSP in Sri Lanka, Michel Pablo own current within the USFI and the South American Posadists but they have been expelled from the ranks of Trotskyist centrist groups and are no longer seen as in the same tradition by those who regard themselves as Trotskyists. We do not include state capitalist groups like the SWP (UK) or its offshoots internationally in the category of Trotskyist centrists; internal struggles there are directed in the main at the ‘IS tradition’ and there is no talk in the current split crises in the SWP, for example, of the leadership having betrayed Trotskyism. Like the US Workers World Party and the Weekly Worker/CPGB and others of Stalinist/Maoist origins not tied to any degenerated or deformed workers’ states they may now be categorised simply as centrists. In our fight against the positions of RCIT and LFI there is a further issue as well as the Anti Imperialist United Front (AIUF) and revolutionary defencism; another key element for analysis of the degeneration of the Fourth International: the question of the class character of the Trotskyist party. A petty bourgeois cancer, Shachtmanism, destroyed the Fourth International Trotsky founded in 1938. It was an internationalist Bolshevik organization that struggled to gain real influence in the labor movement. It directed important political and industrial working class struggles; its biggest section, the American SWP, led the Teamsters strikes in Minneapolis in the 1930s. However Trotsky knew the risk that both the SWP and especially smaller sections could be hegemonised by the petty bourgeoisie. The biggest fight waged by him in his later years was against the petty bourgeois tendency lodged within the Fourth International. The minority fraction of the SWP was led by Max Shachtman, an intellectual centrist who renounced defence of the USSR in the approach to World War II, the materialist dialectic and finally renounced Marxism itself. This reactionary tendency, Max Shachtman’s International Socialist League, refused to defend the Stalinist-led forces, claiming that their victory “would mean nothing but the extension of the slave power of Stalinism over the whole territory of Korea” (New International, July-August 1950). xviii Shachtman defended the Bay of Pigs CIA mercenary dogs who invaded Cuba in 1961 and the US war against Vietnam. Our splits and fusion approach to the subjectively revolutionary cadres of the self-proclaimed Trotskyist groups will gather together the forces to begin the revolutionary regeneration and reconstruction of the Fourth International. 3 Labour Review, August/September 1952. 4 News Line, 3 November 1985. 5 ‘Resolution adopted unanimously by 8th Plenum IEC’, Club internal document, 1950. 9 Ibid. Socialist Outlook (1987 – 2009), The second Socialist Outlook was the publication of the International Socialist Group, the Trotskyist organisation which was the British section of the Fourth International between 1987 and 2009. Launched as a bi-monthly magazine in May 1987, the title Socialist Outlook was partly selected because, at that time, most of the ISG’s members were also active in the Labour Party. It was published as a fortnightly newspaper between 1992 and 2002. It was then a quarterly magazine and used the ISSN 0951-8657.